The present day abbey ruins date from the fifteenth century. Nearby is another ruin which was likely residential accommodation for the priests of Fenagh. The abbey was used for a time for Protestant worship until the present church was built nearby in circa 1798. Aaccording to the Book of Fenagh, the founder of the original monastery was St. Caillin who was supposed to have arrived in Fenagh from Dunmore in Co. Galway in the 5th century. 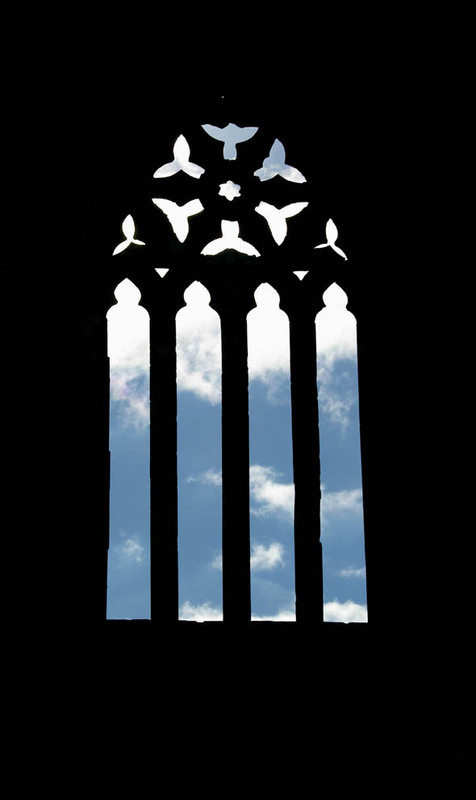 The Abbey had a famous monastic school. 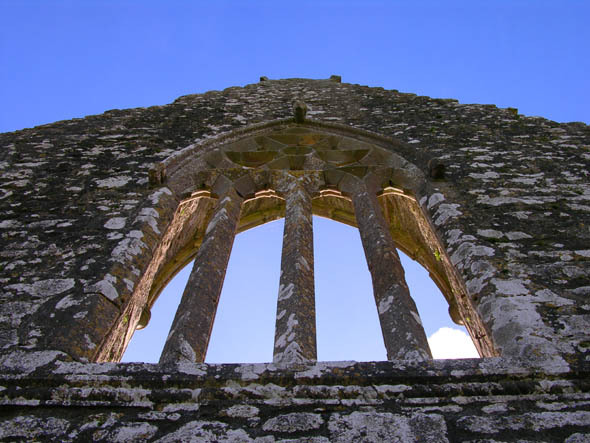 An writer of the ‘Annals of the Four Masters’ wrote that the monastery at Fenagh was “celebrated for its divinity school, which was resorted to by students from every part of Europe”. The local Church of Ireland has a replica of the fine window illustrated.